The newest LED light bulbs offer in the ballpark of a 20 year lifespan. Even subtracting the the possibility that number will only grow as LED and OLED technology matures, that means we may need to change a light bulb only four times in the span of an average lifetime! TEAGUE Labs forecasts this extended long lifespan offers a rare opportunity in the realm of technology today: a stable platform to build modular accessories around. 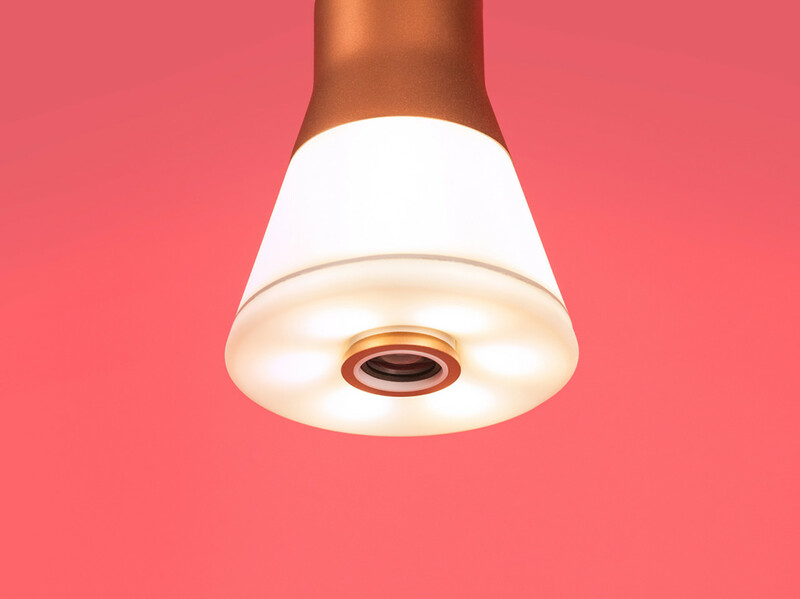 TEAGUE Labs’ Filo concept is a connected light bulb that works with existing standard sockets, a platform designed around individual modules popped in to extend the functionalities of a typical bulb. Once a module is inserted, the bulb can double as a voice-activated digital assistant, baby monitor, microphone, audio speaker, or security system. The designers envision a day when changing the bulb becomes a thing of the past, but switching in/out functionalities specific to rooms become the norm.